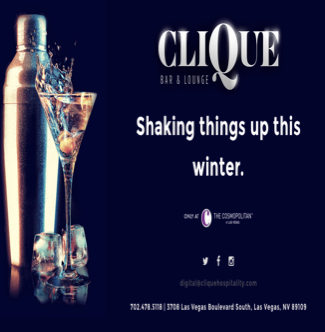 The Cosmopolitan of Las Vegas and newly-formed Clique Hospitality, founded by Andy Masi, have partnered to bring Clique, a new avant-garde lounge concept, to the resort this winter. Located in the heart of The Cosmopolitan, the ultra-hip and swanky cocktail lounge will add another dimension to the resort’s dynamic bar collection. Clique will serve as an escape from the outside world, offering artisanal cocktails and house-made mixers. The imaginative concept will feature timeless musical stylings and relaxation in an environment perfected and designed by Alessandro Munge, from Studio Munge. Clique will be adorned with dark wood, comfortable couches and posh finishing touches, creating a lavish look. Mixology from the minds of the most innovative bartenders will take center stage as Clique reinvents the lounge experience with tableside mixology. 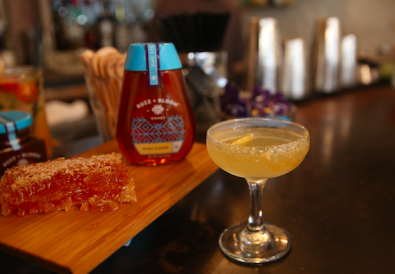 Aside from classic drinks, Clique will offer a seasonal cocktail menu, as well as fresh juices and garnishes. Guests looking to stimulate their palates will enjoy a variety of savory bites and sharable plates, including high-end street tacos, an array of sliders and salads, among other mouthwatering dishes, from award-winning chef Brian Massie. 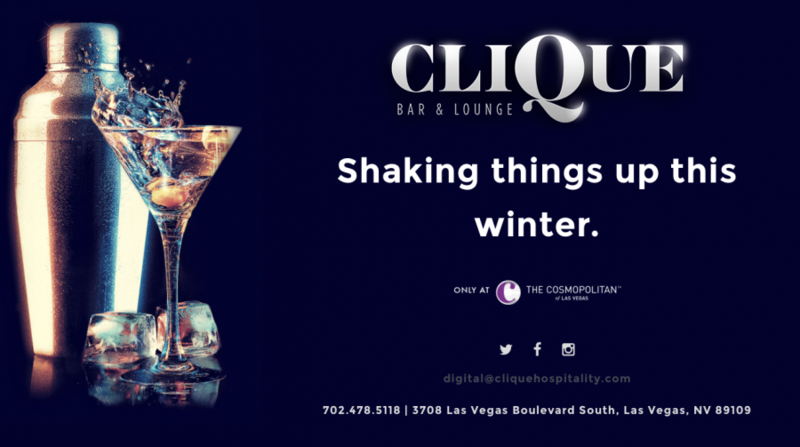 Upon its arrival, Clique will join The Cosmopolitan’s unparalleled collection of interactive and aesthetic bar experiences. Recognized for its award-wining mixology program, The Chandelier is a living, breathing architectural wonder housing three unique levels. BOND, a rhythmic, pulsing cocktail house, features a vibrant mash up of LED art, live performances and upbeat music. A haven of modern sophistication with firm roots in the elegance of the past, Vesper Bar channels 1950s glamour with perfectly-executed vintage cocktails. 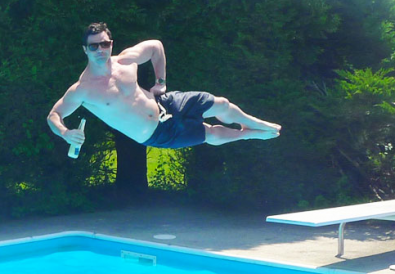 Leisure Diving – coming to a pool near you!